Instagram is testing a new feature that allows you to see more information about the people you are searching for within the app. Spotted by photographer Anthony Quintano, search on the app now displays the results in a more Facebook-like manner. If you search for someone you know, it tells you whether they are following you back and if you’re not already following the person, it will tell you who in your followers list is. Search also highlights users who have a large following, whether they are verified or not, which makes it easier to find popular content creators on the app. 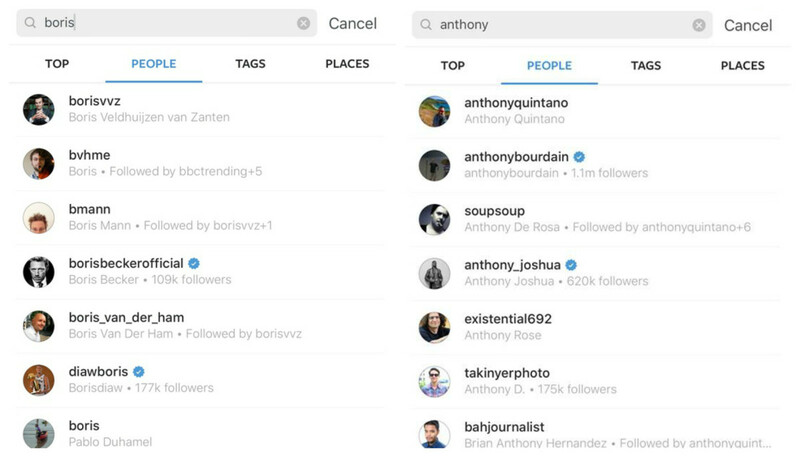 It’s a small but handy update because prior to this, Instagram’s search function was pretty basic, not pulling people your connected with to the top of the list and not highlighting people with big followings. The updated version of search appears to only be showing for some users, so we’ll have to wait and see if it gets rolled out to everyone in the future. We have contacted Instagram for some more details and will update this post when we hear back. Whilst you’re on Instagram, why not follow @thenextweb!